Plumbing problems, we all have them and they are awful. They smell bad, flood our houses and destroy a lot of stuff. So when the worst happens, who do you call to fix it? 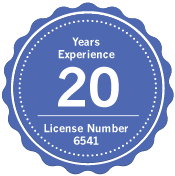 Markwood Plumbing LLC is a family owned and operated residential/commercial plumbing company, servicing Baton Rouge and its surrounding areas. We specialize in the areas of service and repairs, new installations, water heaters, drain cleaning and unclogging or repair/replace of garbage disposals, sinks, toilets, faucets; remodeling and renovations and gas piping. Whether you are experiencing a plumbing emergency, or something as simple as a leaky faucet or running toilet, Markwood Plumbing can help you get it fixed quickly. We are standing by 24/7, and offer honest estimates and a high level of customer service. We look forward to helping you with your plumbing needs.